Dedicated to Father Desbois in acknowledgement of the incredible work he has undertaken to preserve and perpetuate the memory of the murdered Jews of eastern Europe. 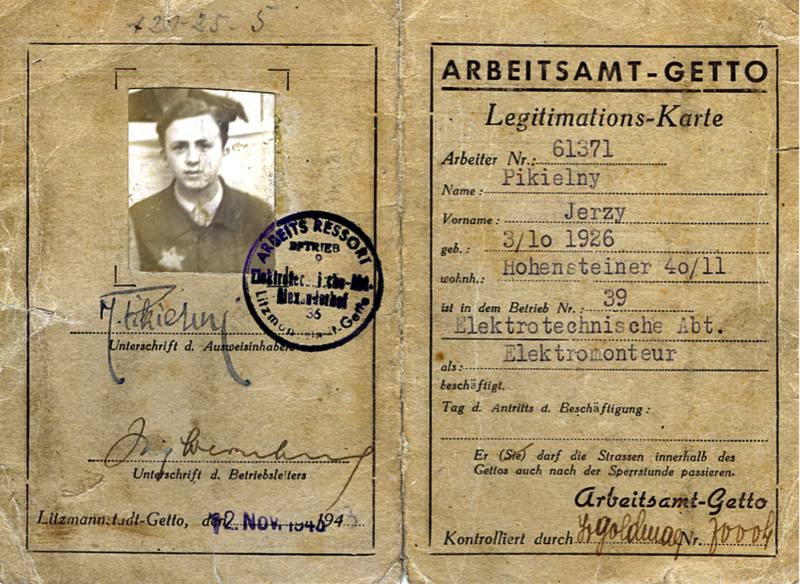 Long before German bureaucrats met in 1942 at Wannsee to plan for the deportation and mechanised murder of European Jewry in extermination camps, before Birkenau, Treblinka, Sobibor or Belzec were built, hundreds of thousands of Jews had already been murdered by the Nazis and their local collaborators in the towns and villages of Ukraine, Lithuania, and Belarus. These first mass victims of the Holocaust were not transported in crowded cattle cars to secluded industrialised killing centres that define the term “Holocaust” for most of us. These victims – mostly women, children and old people – were taken from their homes, on foot or by truck, to locations just outside the towns and villages where they lived. There they were shot at close range, one human being killing another, and all in the presence of local residents, non-Jewish neighbours, even friends. The murders were co-ordinated by German special killing squads – the Einsatzkom- mandos – but the shooters included units from the surrounding area, as well as willing local nationals or volunteers. These killing sites are now all but invisible. They offer up none of the architectural design that shape the iconic imagery of the Holocaust such as the “Arbeit Macht Frei” encased in ironwork, or the chimney of a crematorium. Even the place names: Bogdanivka (where more Jews were murdered than Babi Yar), Busk, Novo Zlatopol – and hundreds of others, fail to register or resonate with most students of the Shoah. Father Desbois has devoted his life to researching the Holocaust, fighting anti-Semitism, and furthering relations between Catholic and Jews. 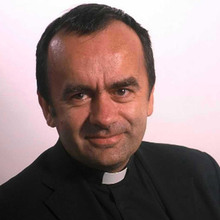 Patrick Desbois is a Catholic priest and President of Yahad – In Unum. He also serves as director of the Episcopal Committee for Catholic-Judeo Relations, under the auspices of the French Conference of Bishops. He is the grandson of a WWII French prisoner held in the Rawa Ruska camp on the Poland-Ukraine border. In 2004, he began to research the story of the Jews, Roma and other victims murdered in Eastern Europe during WWII by the Nazi mobile killing units, the Einsatzgruppen. His work through Yahad has been recognized through numerous awards and commentary in France and internationally. Day 25 – January 25, 1940 – The Nazis decree the establishment of the ghetto in the Polish city of Lodz. During World War II, ghettos were set up across Nazi-occupied Europe by the Nazi regime in order to confine and segregate Jews, and sometimes Gypsies, into a small parts of towns or cities. In documents and signage at their entrances, the Nazis most often referred to these areas as Jüdischer Wohnbezirk or Wohngebiet der Juden, both of which translate as Jewish Quarters. There were several distinct types, including so-called “open ghettos”, “sealed ghettos” and “extermination ghettos”. In a number of cases, they were the scene of uprisings against German control known collectively as ghetto uprisings. 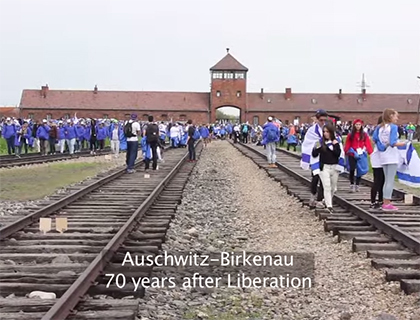 5 survivors describe their experience and link it to the March of the Living.